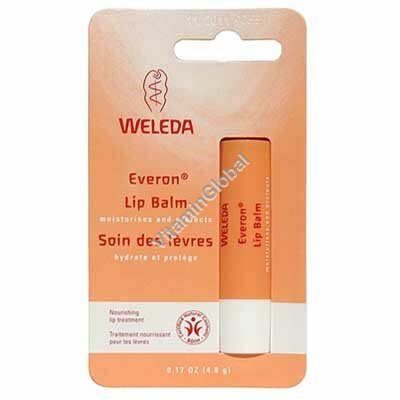 Everon Lip Balm protects delicate lips from dryness. Gentle, natural ingredients, including organic Jojoba Oil, organic Shea Butter and precious Rose Wax provide long-lasting nourishment. Usage: Apply Everon Lip Balm to lip area as needed.